Since its inception, the importance of mobile applications is getting higher & higher. Bring on your business as a mobile app & let your business grow higher & bigger. 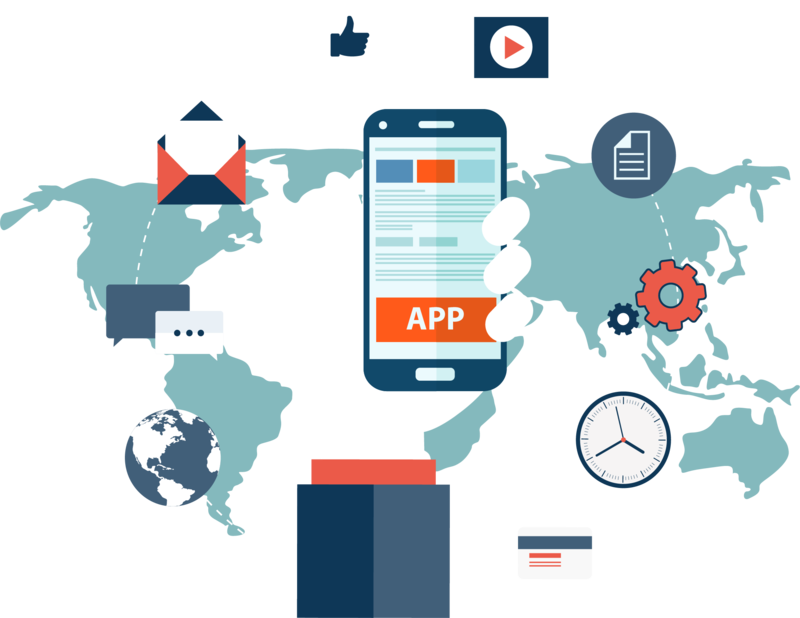 We provide best mobile application development services for Android & iOS. Looking for a reliable mobile application development company? We have experienced hands & minds to develop best mobile application. Android is the most popular mobile OS (Operating system) & so are Android Apps. We build Android apps which give users a great performance & feel. iOS is the second most popular mobile OS after Android. We value our customers' needs so we design the best customized Mobile applications for customers exactly as per their requirements. We develop native apps as well as cross-platform apps (Hybrid apps, Progressive Web App - PWA). User Experience & User Interface design. We design apps thinking of how delightful users will experience with the app's design & its functions. We provide instant mobile app support when difficulties faced by user. To get the free consultation for your requirements. We design affordable & professional app for you according to your business what suits the best. Great UI (User Interface) means the app will be designed & developed keeping in mind 'how a user will feel with its performance'. Users don't like waiting for a long time when an app launches. The App's loading time or response time should be fast. Poor performance leads to negative user experience. Our developed apps give you high performance. Really great. they are genius in their field. Then deal with politely and do work done as given time frame. Really great company, as well as best supports.